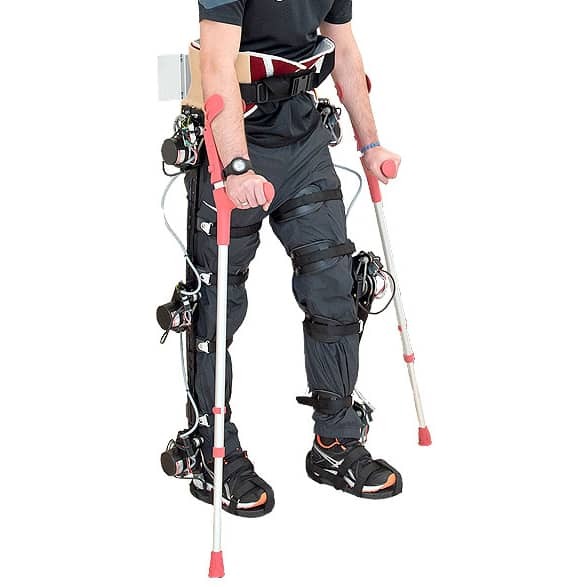 The PowerWalk is an energy scavenging exoskeleton for military use. It could be turned into a consumer commercial exoskeleton in the future, for example, as a battery charging device for hikers. There are several hundred units in testing. 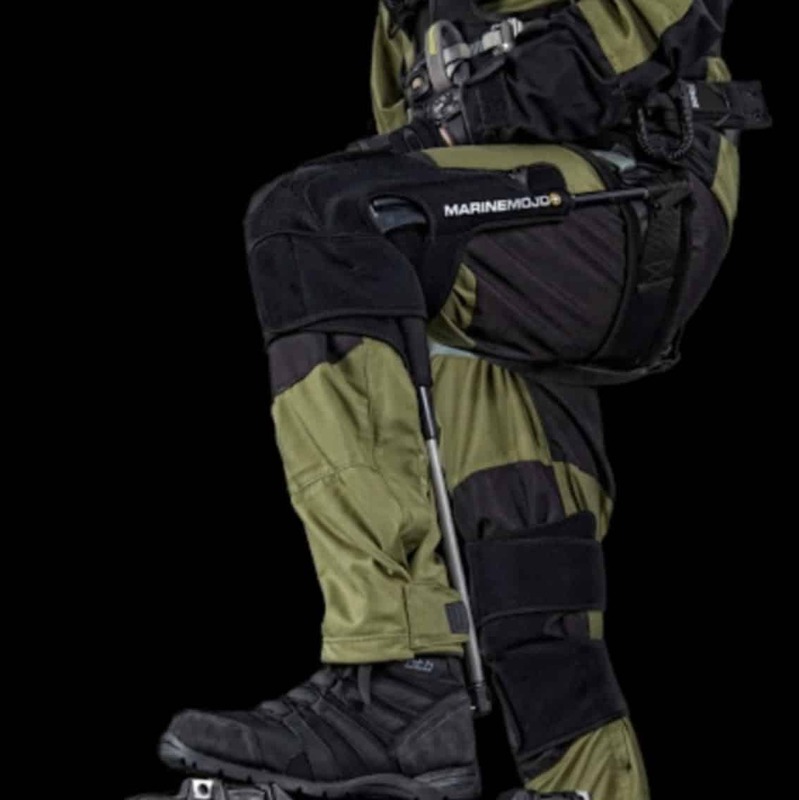 PowerWalk Kinetic Energy Harvester by Bionic Power Inc. is a power harvesting knee exoskeleton. The PowerWalk doesn’t add force at the knee but instead takes it away in order to charge a rechargeable battery. 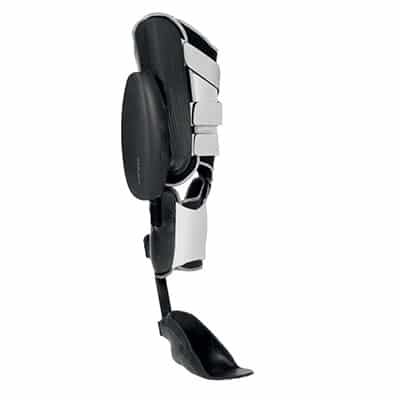 For an idea of what a rough prototype of an energy collecting knee exoskeleton looks like, refer to this article: Exoskeletons Extracting Energy For the User. 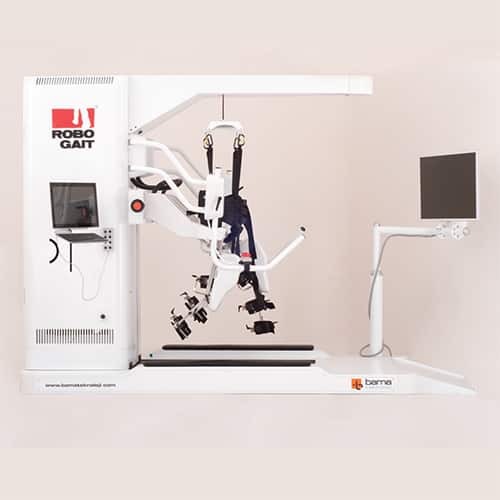 Usually, energy extraction from walking happens at the heel. A compliant element is compressed at heel strike providing a small amount of energy. Historically, energy extraction devices end up producing less energy than the cost of wearing them. Nevertheless, in May of 2016 the company acquired an additional contract for $1.25 million for initial low volume production of the PowerWalk for the US Army. What is the selling point of the PowerWalk? 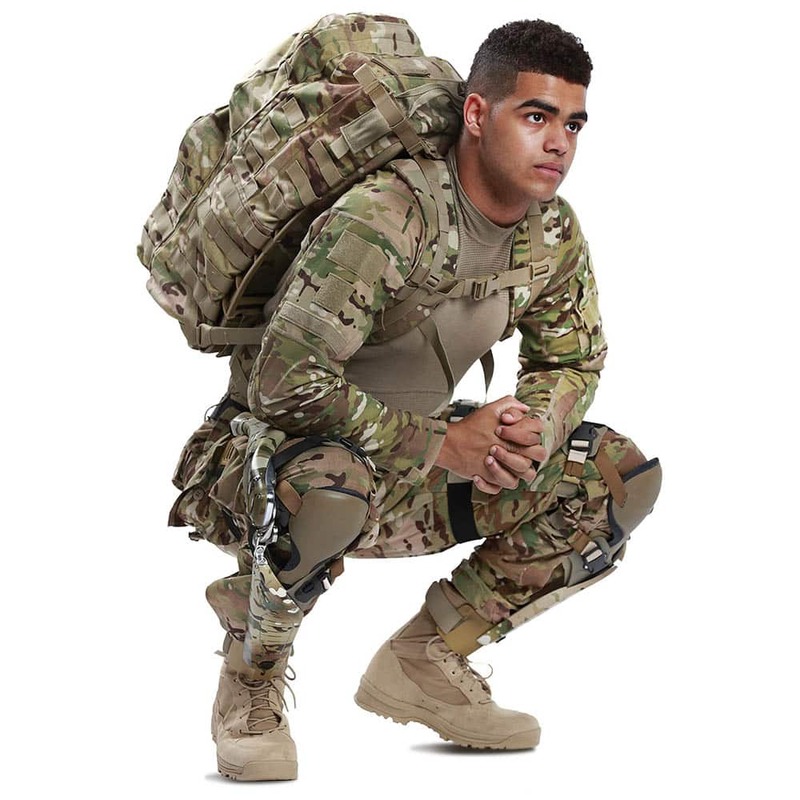 If a standard mission deployment is considered to be 72 hours, then a soldier needs to have enough electricity (battery charge) for all electronics equipment he or she are carrying: GPS, night vision, communication devices, etc. This can amount to a 16-20 lbs in batteries alone. 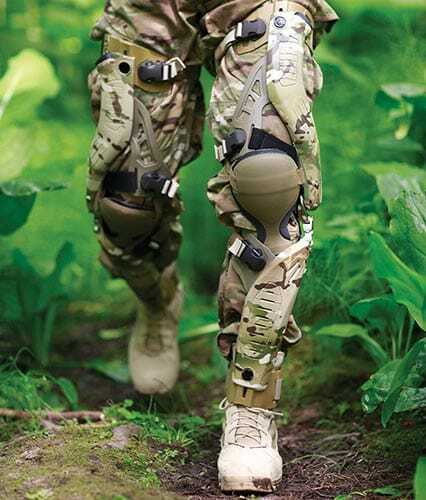 With the PowerWalk, it is possible that a smaller rechargeable battery could be utilized which the exoskeleton charges during the mission. For this to work, the metabolic cost of wearing the device has to be smaller than the cost of carrying the normal size battery. Another aspect of the PowerWalk is that battery packs are single use and thrown away, which is wasteful and ends up being very expensive in the long run.